The vast majority of Sensio lighting is Energy Efficient LED. The newest technology - High Definition LED is available in an increasing number of designs and both cool white & warm white LED are available throughout most of the range. 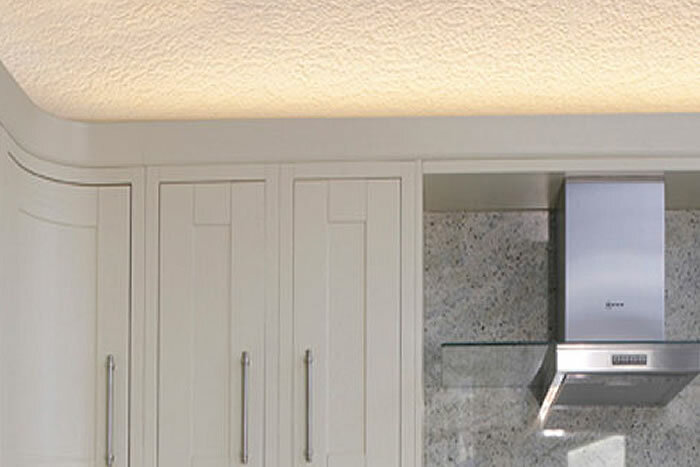 Kitchen Lighting is often an after-thought but at Wittering West we understand the importance of how ambient lighting can transform the look and feel of a room. Included in your kitchen design is a full lighting plan to enhance your kitchen with optimum working light for cooking and food preparation areas and ambient lighting for the dining and living areas. 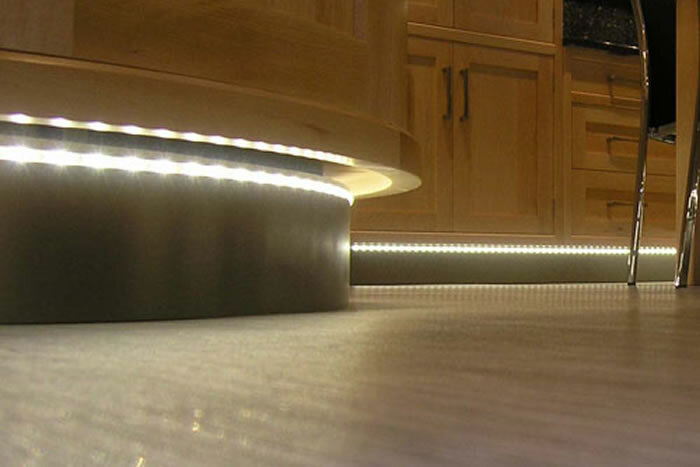 LED kitchen lighting adds dimension and depth to your kitchen. 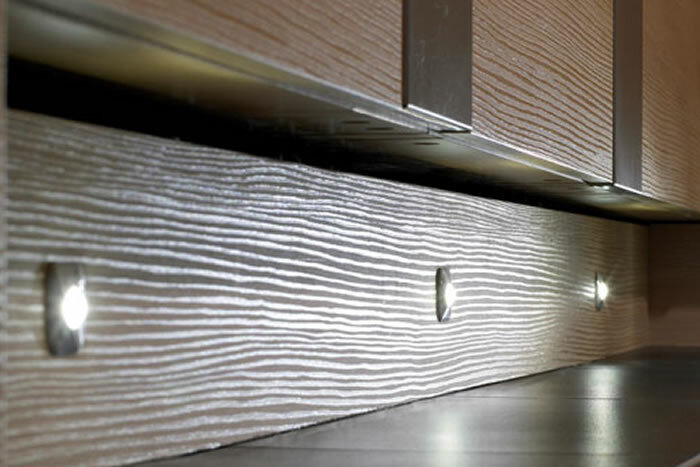 Flexible strip lighting along the plinth creates a continuous run of light whilst round or square plinth lights create spot effects. 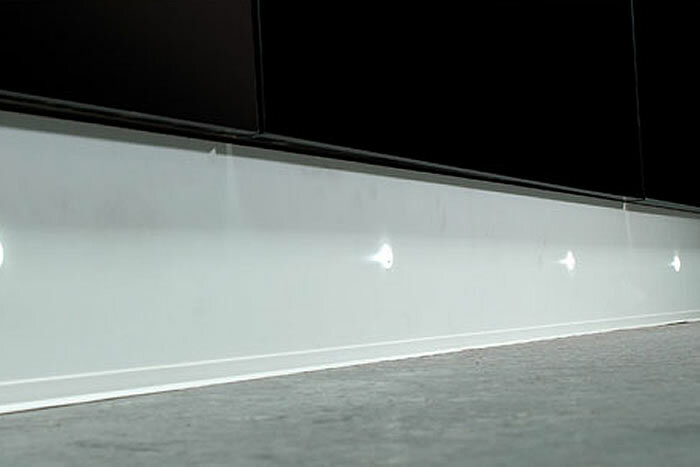 High definition LED's create a striking effect.